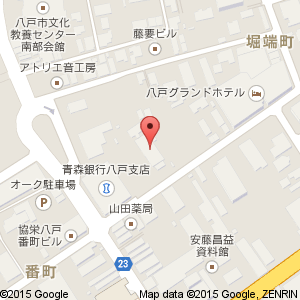 The Towada Art Center will be closed for maintenance for four days next month, from Monday, February 16th - Thursday, February 19th, 2015. The Lounge area will also be closed for floor repairs from Monday, February 2nd - Friday, February 27th, 2015. During this period the Michael Lin piece, "Untitled" will not be available for viewing. The Cafe and Shop may also be closed on some days; please inquire at the Towada Art Center for more details. Barayaki is a simple dish of grilled beef* flank and onions marinated in a soy sauce based sauce (called “tare”). 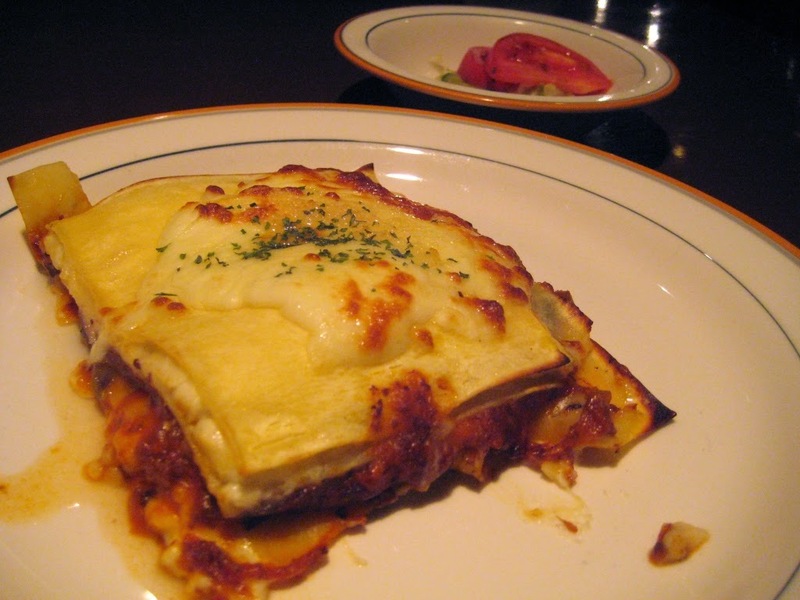 The dish is said to have originated in the 1950s in Towada’s neighbouring city, Misawa, where an American air base was (and is still) located. People were able to obtain the beef flanks cheaply from the Air Base. Onions were also a cheap and easily obtainable vegetable at that time. So the meat and onions were combined with tare and barayaki was born. *Although barayaki was originally made with beef, it is now also made with pork or horse meat. The B-1 Grand Prix is a contest for “local gourmet brand*” foods from all over Japan. 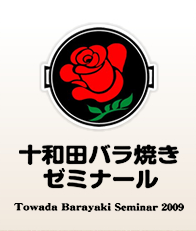 Barazemi started promoting Towada Barayaki at various local B-1 Grand Prix events in 2009 and made its first appearance at a national B-1 Grand Prix Competition in 2010. With its warm lighting and wood-burning stove, Isshin is a great place to study, read books, play board games (Japanese comics, books, and games are available for free use) and enjoy a leisurely meal, alone or with friends. 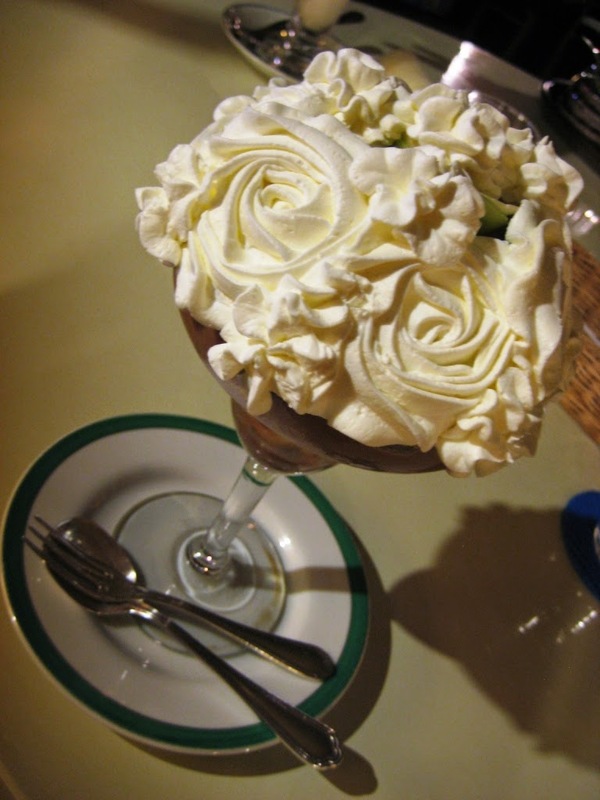 However, it is not the best choice for those in a hurry, as food and drinks take a fair bit of preparation time. 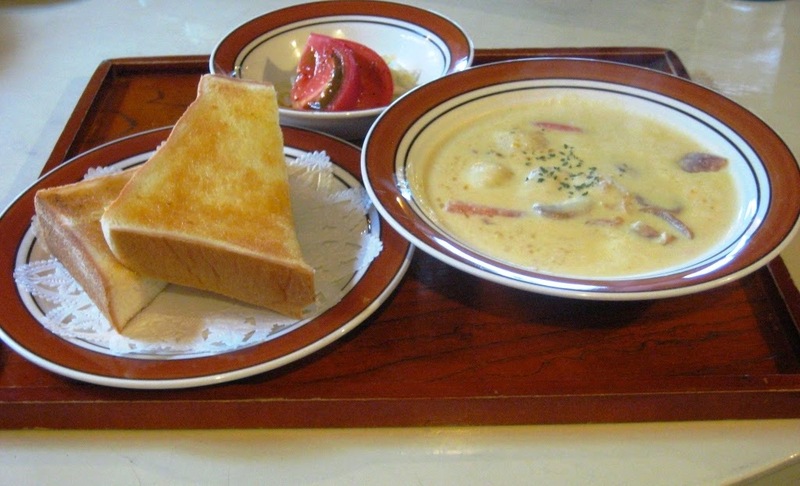 The large menu has a little bit of everything: Japanese food, curry, pasta, pizza, sandwiches, parfaits, hot and cold drinks, etc. 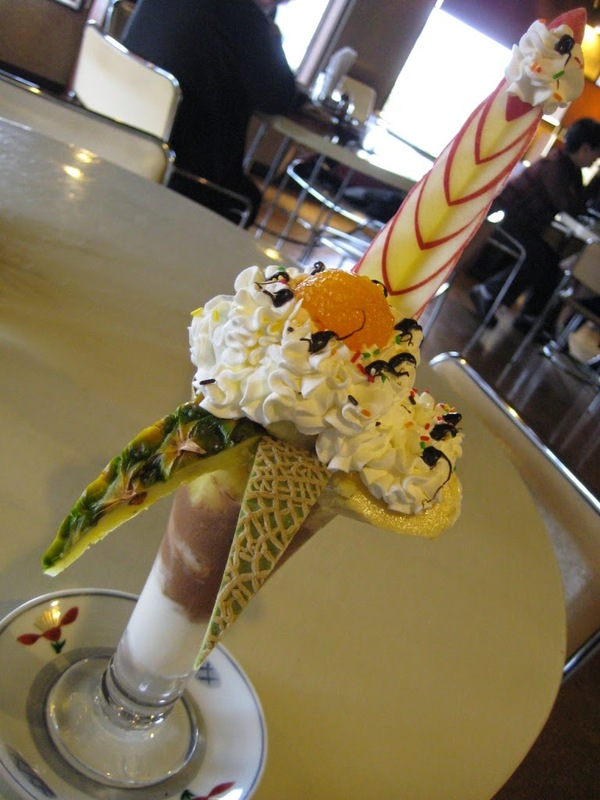 The parfaits are particularly well known for the impressive arrangement of fruits on top. 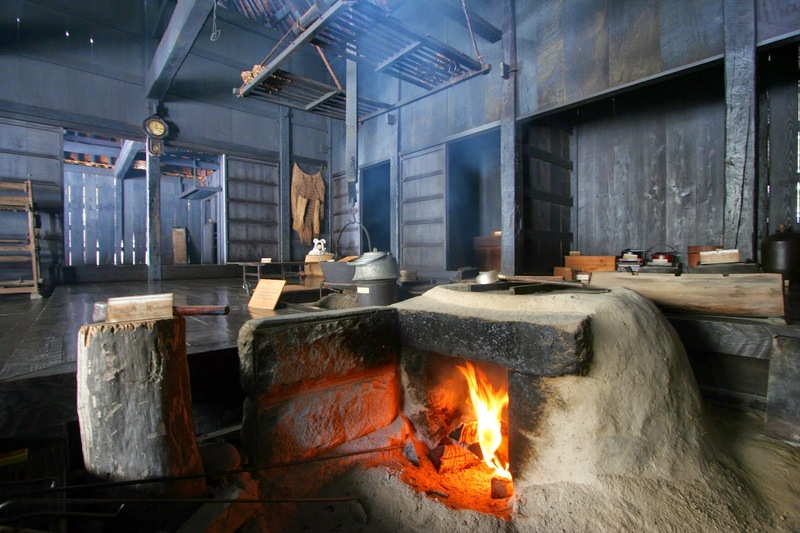 Located near Yakeyama, the former Kasaishi Residence is a traditional thatched roof house designated as a “National Important Cultural Property.” In combination with the Museum of History and Folklore, a visit here provides a glimpse into the local traditional lifestyle. Along with Lake Towada, Oirase Gorge is part of the Towada-Hachimantai National Park. The forests, stream, and numerous waterfalls in the gorge make it a gorgeous hike in any season. The 14km section of the Oirase River (a 67km long river connecting Lake Towada and the Pacific Ocean) that runs through the Gorge is referred to as the “Oirase Mountain Stream.” It takes about 4-5hr to walk through the entire Gorge, but there is also a road that runs parallel to the walking path so it is possible to drive and/or take a bus part of the way. 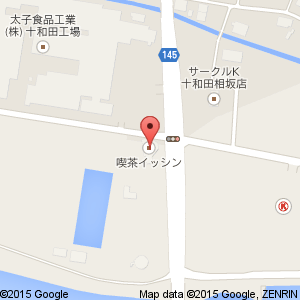 Regular and electric bicycle rentals are also available at Yakeyama, Nenokuchi, and Ishigedo. Lake Towada is the largest double caldera lake (formed by volcanic eruption) on Honshu and the 3rd deepest lake in Japan. It straddles three prefectures: Aomori, Akita, and Iwate. The Towada Jinja (shrine) and the Statue of Maidens (乙女の像 Otome no Zou, the final work of poet and sculptor Takamura, Kotaro) are two popular sightseeing spots at the lake. The Towada City Towadako Tourist Center “Puratto” (十和田市十和田湖観光交流センターぷらっと) opened in October 2014. 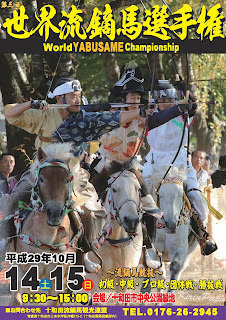 It provides information about sightseeing around the Lake as well as featuring various exhibits related to Lake Towada. Current exhibits are about the introduction of himemasu fish to the Lake; Takamura, Kotaro, the sculptor of The Statue of Maidens; and Omachi, Keigetsu, a famous late 19th-early 20th century traveling poet who loved the Lake Towada-Oirase Gorge area. Cat photography exhibit by Japanese wildlife photographer Mitsuaki Iwago, who also films the popular NHK documentary TV series “World Cats Travelogue” (世界ねこの歩き). Various establishments are offering special promotions/discounts to people who have visited the Neko Exhibit, e.g. Forum Cinema regular admission 1700yen → 1100yen. You will receive a map with a list of participating establishments and the discount/promotion they are offering when you purchase your ticket at the Museum. Simply show your exhibit ticket stub at a participating store to receive the discount/promotion (one per ticket). The date of the ticket does not matter: if you went to the exhibit in December, you can still use it in February; however, each ticket can only be used once per establishment. Discounts/promotions last until the final day of the exhibit (Sunday, February 8th, 2015) at any number of participating establishments. During the promotion period, submit a photograph of your cat for display at the museum and receive one free admission ticket. Submit photographs at the Museum’s 1st floor registration desk.